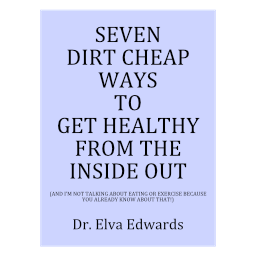 January 2018 – Dr. Elva Edwards, D.C.
Everyone is talking about the flu. It seems to be at peak levels in most states. The CDC said that there was a 10% accuracy in guessing which flu strains would be prevalent this year. So 90% of the vaccine you got would have no positive effects. But it still has the toxins. If you watched “Vaccines Revealed,” or “The Truth About Vaccines,” you might want to avoid vaccines altogether. I heard about two people who had the flu, went to the doctor and got Tamiflu and did quite well. It made me think. Follow my reasoning. If Tamiflu really works well, why don’t we have enough Tamiflu for the number of people we expect to get the flu. If you get the flu, you can get Tamiflu and there would be no need to get a flu shot. Where does my reasoning fail me? I am not suggesting it. I haven’t studied Tamiflu so I do not know about the side effects. But that might solve some of the vaccine issues, like not having the right strain in the mix. Personally, I have had patients come in with their arms hurting (a lot) because they got the shot and they had a reaction. Sometimes they had muscle wasting, sometimes reduced range of motion and always pain. Why hasn’t anyone else thought of this? I have been working for numerous years on a program to help people heal from their childhood wounds of losing their parent when they were a child. The loss of a parent as a child has staggering consequences. I’m calling my program, “Healing From Childhood Loss.” You may know that I was orphaned at 19 months and that spurred my interest in this work. Patients have come in and ask when my program will start. Actually, my website started in September 2016, where I write a blog every week. If you go to my website and give me your name and email (by signing up), you will be sent the blog every week. I’ve been writing the blog while I’ve been putting the classes together. And now, MY CLASSES ARE READY! It starts Wednesday. If you go to www.childhoodloss.com and sign up, on Wednesday you will receive the first video that will introduce you to my classes. And, if you would be so kind as to help me, I would appreciate it. You can help me by spreading the word. I don’t have to tell you that I’m not at the beginning of my career. Far from it. I can’t say for sure if this will be offered again, so anyone who needs this work needs to find out about it now. I’m 68 and I’d like to offer it a multiple times, but we never know about tomorrow. If you could help others, who need these classes, find me, I would appreciate it. How? Here are some ways. When the link to the videos are sent to you, you can put it on social media. If you know of anyone who might be interested, you can send them the link. If you know someone you would like to get a postcard, just send me an email with their name and address, and I’ll drop them a postcard. My childhood pain shouldn’t be wasted when it can be used to help others with their pain. I am so very fortunate to have patients who allow me an intimate look into their lives. Our conversations gave me a greater and greater desire to pursue these classes. Thank you for helping people find me! Would you be interested in a product that destroys 99.9% of harmful and deadly bacteria, viruses and mold such as e-coli, MRSA, staph, the plague, anthrax, strep and many more? And what if it also got rid of odors and harmful pollutants? And how great it would be if it made you happy and helped with your allergies? So, what is this product and how much does it costs? Right? The product is a light bulb that uses NASA technology making the light bulb a mini-air purifier. Put a bulb in the bathroom, kitchen and any area that has a musty smell or any smell at all. This light bulb uses less electricity than normal and has a guarantee of 10 years. And, they are about $16 a piece which is a lot less expensive than the air purifiers I have at my house. There are over 140 scientific studies on the effects of this technology. Read all about it at https://elvaedwards.Pure-Light.com. Maybe this is part of the holistic answer to making our environment healthy and safe! Sometimes it is hard for us to correlate cause and effect. For example, if you eat gluten, does it cause you any problems? Some people know they suffer and quit eating it. But others do not have any proof. Their stomach feels fine even when they eat gluten. This last week I saw a patient I’ve seen numerous times. She has a shoulder that gives her problems. It is much better since I worked on it, but she can still feel it. Sometimes it will catch with movement. Does that sound familiar? When she came in this week, I asked her how her shoulder was feeling. She laughed and said, “Fine.” She quit eating gluten and the shoulder doesn’t have a catch in it anymore. Yeah! Sometimes it is worth experimenting to see how food affects your “problem area.” It can be anything but gluten, corn, dairy, sugar and nightshades are the most typical culprits. If you experiment, let me know if you too have, what seems to be, a miraculous result! My wish for you, as well as myself, is to have a happy, healthy and prosperous 2018! I don’t focus on New Year’s resolutions! Although it feels like a New Year gives us a new chance, in reality, every day gives us a new beginning. Even every minute. My Granny always said, “Life is short.” The older I get, the smarter she gets. None of us know how many more days we have, but we all have an expiration date. Let’s do what we want to do. Let’s make sure we are riding the wave of our passion. Have you found your purpose? It is never too late to find your purpose. Let’s enjoy our time here on this earth. Let’s give back in the ways we want to give back. If you don’t want to do something, don’t do it. Better not to do it and forgo the complaining that you had to do it. If you don’t do things you don’t want to do, you have less reason to be resentful. Be productive and enjoy your life. Happy 2018! !